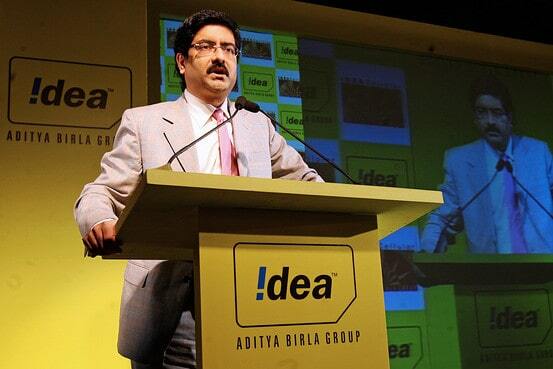 NEW DELHI: Kumar Mangalam Birla led Idea Cellular said that the revised interconnect usage charge (IUC) rate further jeopardizes both rural coverage and connectivity. Day before yesterday, India’s telecom regulator Telecom Regulatory Authority of India (TRAI) said that it has reduced the IUC from October 1. “The proposed reduction by the Telecom Regulatory Authority of India (TRAI) in Mobile Termination Charge (MTC) is a body blow to all operators who depend upon fair, equitable, and transparent regulation to encourage and sustain reinvestment in the sector,” the operator said in a statement. The decision is riddled with egregious infirmities. “Cost based determination of interconnect usage charge (IUC), which adequately compensate network operators terminating voice traffic, is a well-established settlement principle. The Authority’s verdict to cut IUC to a paltry 6p per minute, determined on the basis of a new cost methodology (Pure LRIC model) which brazenly ignores the stupendously high prices paid for the spectrum, – a key raw material without which mobile telephony services cannot be delivered – compromises this principle, and will negatively impact the already stressed financial health of the sector,” the telco said. “In an avowedly technology neutral policy regime, a regulation which should acknowledge both subscriber handsets ownership and incoming calling patterns has, instead, erroneously determined that only one technology benefits. Presently, more than 900 million consumers in India rely on established 2G / 3G / 4G (non-VoLTE) networks for accessing voice services,” the company said. “A majority of these users are located in the rural heartland, and are dependent on the enormous mobile telecom infrastructure investments, to stay connected. A large swathe of these rural sites are predominantly utilized for receiving incoming calls, and even in the erstwhile IUC regime were being subsidized by existing operators. The revised IUC rate further jeopardizes both rural coverage and connectivity,” it said. Further, in an environment of tenfold induced traffic asymmetry, this is a regulation driven cross-subsidy among competing operators whereby one operator is passing the burden of terminating its voice traffic on to other operators. Since 2003, the TRAI has envisaged IUC to implicitly function as floor to the retail tariffs which would limit the scope for predatory pricing by any operator. With the drastic reduction in the prevailing IUC, and the proposed migration to a BAK (Bill And Keep) regime from 2020, the mobile telecom sector may very well be further exposed to the claws of predatory and anti-competitive pricing tactics, disturbing the long term competition structure of the industry to a near monopoly. BAK and CPP (Calling Party Pays) are logically antithetical, that is why no regulator in the world combines them. No economic rationale has been provided to justify how an already ‘lowest in the world’ IUC rate of 14p per minute, has been further lowered by nearly 60%. No thought has been spared as to how Indian regulation can possibly arrive at starkly dissimilar answers to similar calculations as in the rest of the world, including the quoted European average settlement rate of 1.27 eurocents per minute (approx. 98 p per minute), more than 16 times higher than the prescribed IUC rate of 6p per minute in India. All voice traffic in India is terminated on two types of networks – TDM based networks using 2G / 3G / 4G (non-VoLTE) technology, currently terminating over 95% of voice traffic, and VoLTE based 4G voice networks, currently terminating less than 5% of voice traffic. A set of simple and elegant solutions to determine IUC based on costs of termination on these two types of networks were submitted as recently as last week, but have elicited no response. Idea Cellular is deeply disappointed and expects that the TRAI decision will be recalled in toto. The regulator also said that the fee will be scrapped from 2020 and it would benefit to consumers. Domestic Termination charges are the charges payable by a Telecom Service Provider (TSP) whose subscriber originates the call, to the TSP in whose network the call terminates, said TRAI in a statement. a) For Mobile to Mobile, termination charge has been reduced from 14 paisa per minute to 6 paisa per minute w.e.f. 1st October, 2017.
b) For other types of calls (such as wire-line to mobile, wire-line to wire- line and wire-line to mobile) the termination charge would continue to rernam zero. c) From 1st January, 2020 onwards the termination charge for all types of domestic calls shall be zero. Revised IUC rate further jeopardizes both rural coverage, connectivity: Idea Cellular 0 out of 5 based on 0 ratings. 0 user reviews.